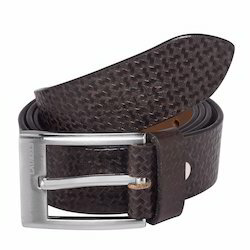 We are a leading manufacturer and exporter of Mens Leather Belt. We are successfully engaged in trading a wide gamut of Leather Belt. Being a quality-centric firm, we are involved in providing a wide collection of Leather Belt. We promise our patrons the on-time delivery of this product at nominal costs. We are the trader, wholesaler and retailer of leather belts and having so many designs.An Original Brand of fashions wears SHE KILLS presents you a fashions leather belts for men and women.We are the manufacturer, supplier, retailer and exporter of fashion leather belt. 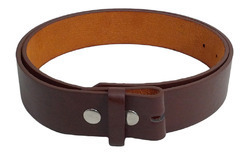 We offer a good range of leather belts which include mens and womens in western, Italian styles. These belts are attractive, durable, and with competetive prices. The belts we offer, are available in various sizes and can be customized according to the clients’ specifications.